Zzzine night was started by J Patrick Walsh 3. 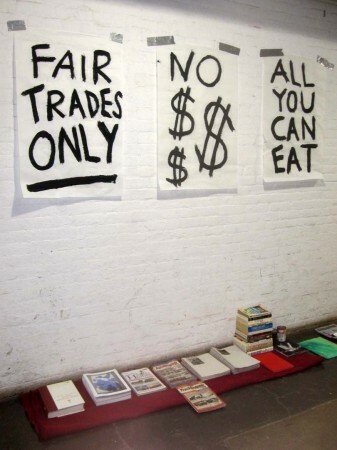 ZINE-TRADE-MEET-UP was started by Ryan Foerster. This is their first collaboration on a night to trade ‘zines’. Their zine Sump Pump will be available for trades. All welcome! Bring things to trade. NO $$$$$. 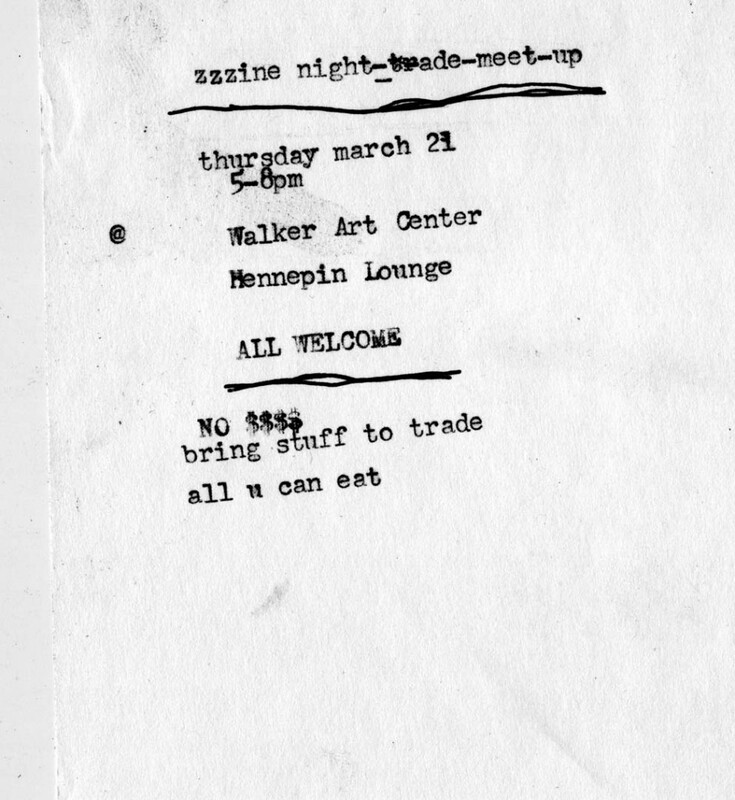 Thursday, March 21, 5–8 pm, at the Walker.